Morning guys! I know that lots of my readers are entrepreneurs just like me. I have owned my own business and have worked for myself for over 30 years and although it can be a struggle sometimes, I feel very rewarded about creating my own destiny. 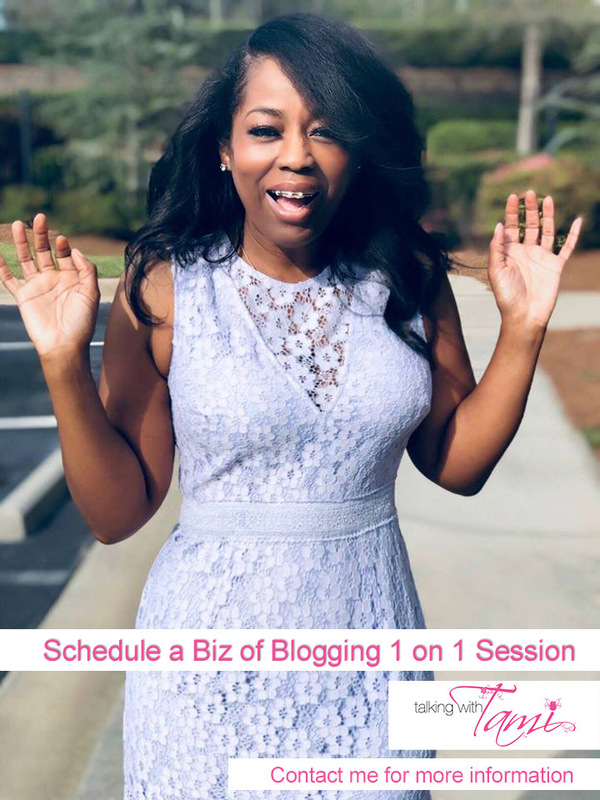 Now, I won’t front and act like it doesn’t get tough at times but thats when you have to find creative ways to earn extra money and make your business stand out against the competition. 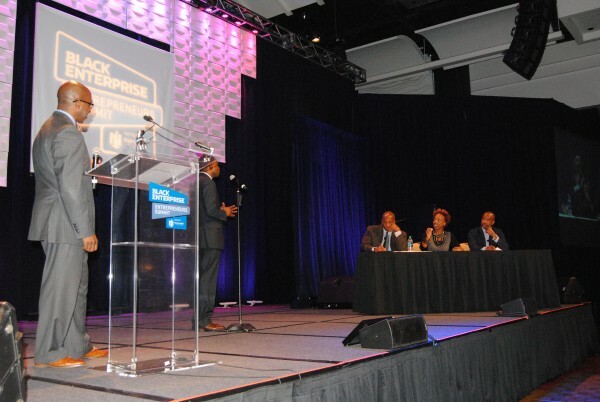 Yesterday afternoon I was invited out by AT&T to Black Enterprise Entrepreneur Summit that was held in downtown Atlanta. I had never been before but I was super excited to attend. Besides my Bachelor’s Degree is in Business, so this really peeked my interest. 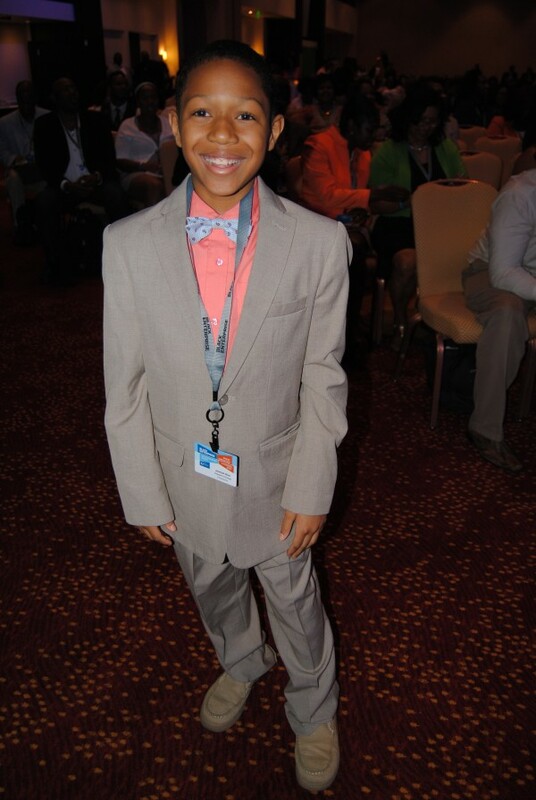 I made it downtown to the Hyatt Regency Hotel where I got myself registered, met some cool people then went through the list all the sessions and guest speakers. It was so many good things going on but the first session I wanted to attend talked about how to grow your brand and gain capital plus find investors. It was a very informative session and then it was time for a break. Next up was the ‘Going Up’ Elevator Pitch. It was standing room only and hundreds of people from all over the country came to see this! 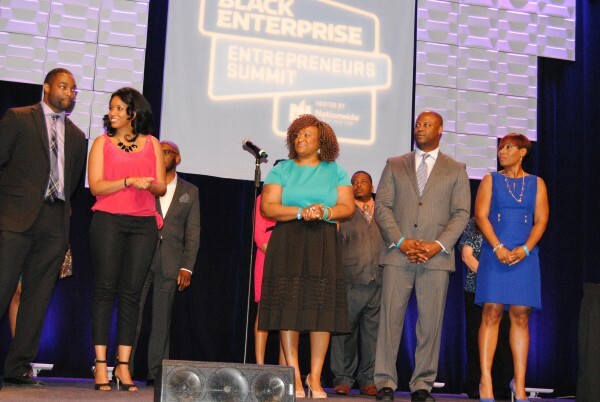 For contestants, you had to send in a video, then Black Enterprise Execs narrowed it down to the final 10. 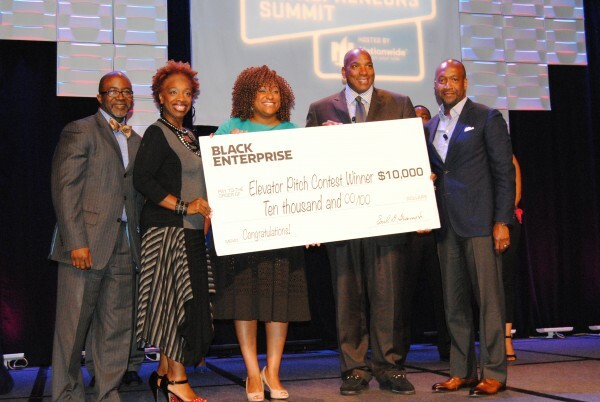 Each person/couple came to the stage and pitched their idea to the judges which included Earl Butch Gray(CEO of Black Ent), Lisa Nicols(motivator speaker) and Jeff Friday(Black Film Festival) moderated by Alfred Edmond jr. Each person got 60 seconds. It was very nerve wrecking to watch them all pitch their ideas and I could tell lots of the contestants were extremely nervous. Especially to pitch their ideas in front of hundreds of people in a crowded room lol. Each did a phenomenal job though and they all had something informative, innovative, helpful, trendy, witty, useful to bring to the table. 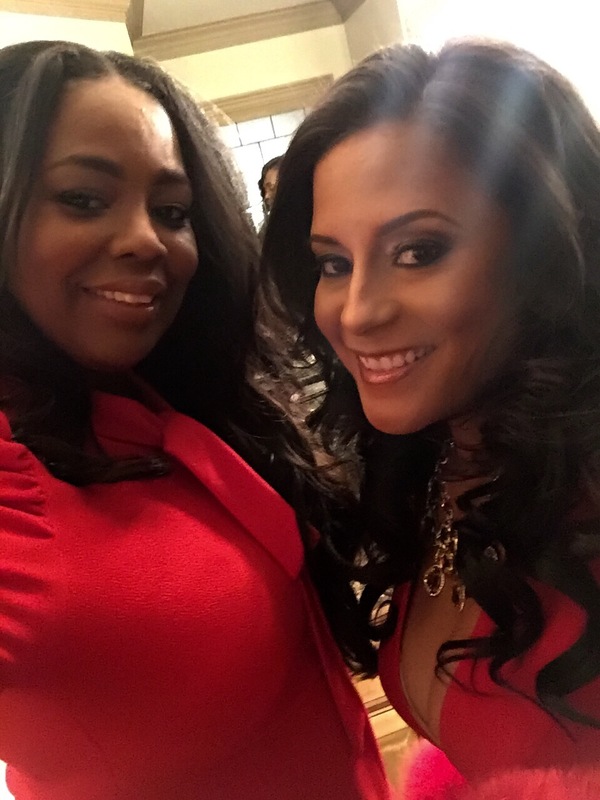 I learned so much at the event and I wanted to share with you all a few tips and tricks that each judge offered to the contestants and what you may want to know just in case you have the opportunity to pitch an idea to a potential investor etc. Its best to be sure and correct when pitching! If you are not correct at least be SURE! Memorize your pitch. Get comfortable talking about your business, the more you practice talking about it the better you get. Do not pitch like a commercial, thats boring. Think of your pitch as a Snapatizer first, then a plate full, then a buffet. Take baby steps but give them enough information where they want to hear/learn more. Are you solving a problem in the world? Does it bring joy? You have to be in LOVE with your product. Do you have sales already? Investors want to know that. You may want to talk about that first. Whats the return or scalability? 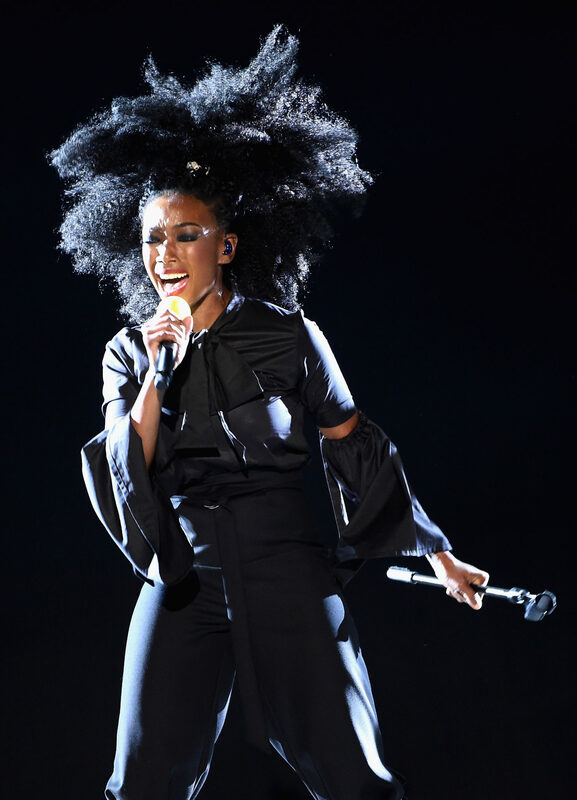 How or why is this going to make money? And always smile and have great energy!!! Finalists on stage, who will win? 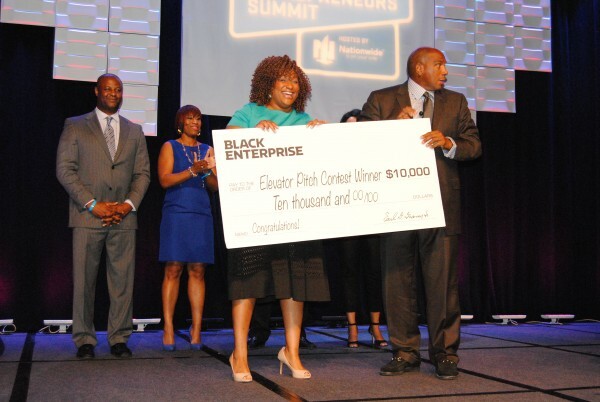 The Elevator Pitch Contest winner goes to Ms.Camille Newman who owns Pop Up Plus, she won $10,000… yay! 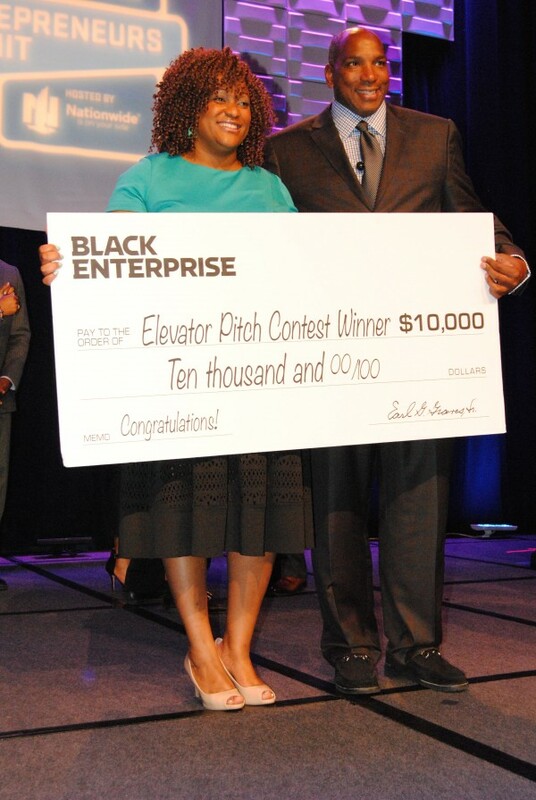 Congrats to Camille with CEO of Black Enterprise Earl “Butch” Graves jr.